One of the main reasons that Wikipedia has managed to earn the trust of the internet community and build a reputation for being a relatively reliable source of information is its insistence that contributors obey strict guidelines when editing pages. There are over 150 basic policies and guidelines concerning the type of content that is allowable and the type of user behaviour that is acceptable. Here are some of the the most important of these guidelines, along with their searchable abbreviations to help you find the full wording of the policies in question. Wikipedia is very clear on the issue of what it is (an online encyclopedia) and what it is not. Examples of things that Wikipedia “is not” include a publisher of new ideas, a catalogue or directory, a manual or textbook, or a dictionary. However, it is also not a paper encyclopedia, and therefore has no restrictions on the amount of content that it can hold. Therefore, even if the Encyclopedia Britannica isn’t likely to cover something, it might still make it into Wikipedia. All the material on Wikipedia should be written in a calm, impersonal tone. As well as meaning that contributions should avoid exclamation points and flowery language, it also requires that the content does not endorse any particular point of view, but just describe these views from an objective viewpoint. This rule is designed to make sure that all the relevant viewpoints are fairly represented, rather than keeping opinions out of the articles entirely. 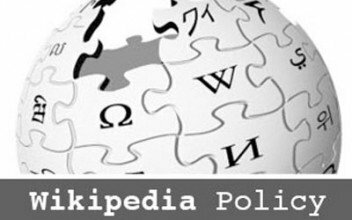 Wikipedia publishes detailed guidelines as to which sources it considers to be reliable, and which ones it does not. In the reliable category, you have publications that are independent of your company, such as The Wall Street Journal or the BBC website, while sources such as web forums and your own personal blog would definitely not be considered to be reliable sources.For those sources that fall between these two stools, the answer can be dependent on the context. Sometimes, certain sources are only considered to be reliable in relation to specific topics. As a general rule, if the article you want to use as your source was not published by a recognised outlet such as a newspaper, academic journal, government agency, or magazine, then the chances are that it won’t count. In general, any detail that you add to Wikipedia should be verifiable, which means that it is possible for another editor to confirm it. Although strictly speaking you should include citations for anything that you add to Wikipedia, you should at least make sure that you only add details that will check out if they are investigated by a third party. An example of verifiable information would be the annual financial reports of a listed company, while quarterly information for a private company would not be unless this information is announced or reported. Wikipedia expressly forbids the use of copyrighted material within articles, with the exception of occasions when you are quoting a source. One of the implications for businesses creating or editing their own articles is that you should never copy marketing language or your About page directly from your website. Not only will the tone be wrong for, but the text will almost certainly be copyrighted, even if you are happy to let Wikipedia use your words. Additionally, your site may be penalised by search engines for using content that is duplicated on Wikipedia. All the material on Wikipedia is copyright-free (or licensed under Creative Commons) which means that anyone can appropriate it for their own uses. Therefore, you should always write original material for Wikipedia. In common with related policies such as “No personal attacks” (WP:PERSONAL) and “Civility” (WP:CIVIL), the “Assume good faith” policy requires users to approach other editors with the assumption that they only have the goal of building a good encyclopedia in mind, and that they treat you the same way. If there is any disagreement, it shouldn’t be a personal matter, but of course there may be occasions when people do not adhere to this rule. In cases such as these, you need to ask another editor to mediate. coverage in reliable sources that are independent of the subject” before it is considered notable. It can be particularly valuable if one of these sources explains why others find your company to be interesting or significant in your particular field. There are no hard-and-fast rules here, however, so it can help to ask another editor to advise if you are unsure.